A new date of religious and historic importance has been added to Russia’s list of official holidays. Christianization Day will be celebrated on July 28 when the Russian Orthodox Church commemorates Grand Prince Vladimir. Baptized in 988 at Cherson, Vladimir returned to Kiev (capital of the Slavs’ state at the time), destroyed pagan monuments and converted his people to Orthodox Christianity. The move had immense political, social and cultural significance for the country, which had been virtually torn apart by the rich variety of pagan beliefs. 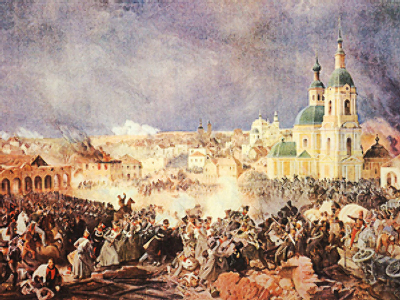 In addition to Christianization Day, Russia celebrated another nine memorial dates. Among then are the Day of Russian Students (January 25), Cosmonautics Day (April 12), the Day of Memory and Mourning (the day when the Great Patriotic War began, June 22), Day of Guerillas and Cryptos (June 29), Day of Solidarity in Fighting with Terrorism (September 3), Day of the October Revolution 1917 (November 7), Day of Motherland’s Heroes (December 9), and Day of the Constitution of the Russian Federation (December 12).